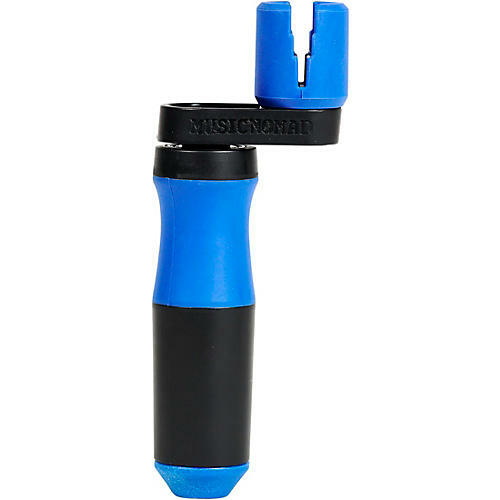 Music Nomad’s patent pending GRIP Winder has a built in dual bearing design that makes turning the GRIP Winder handle effortless, silent and super fast. Its ergonomic and non-slip grip handle gives you total control and comfort. The innovative GRIP technology smoothly and silently slips over your tuning pegs for a scratch free operation relative to traditional plastic peg winders. The contoured design fits virtually all tuning pegs both big and small, and a narrow profile keeps you from hitting close fitted pegs on 12-string and electric guitars. It’s perfect for electric and acoustic guitar, bass, banjo, mandolin, ukulele and orchestral strings. Using the highest quality materials including a carbon steel shaft. Don’t lose it or loan it! You’ll look forward to the next time you change your strings.